Juliana Brown Eyes-Clifford, a 23-year-old woman from the Oglala Lakota tribe, and her husband, Scotti Clifford, have formed the band, “Scatter Their Own” (which is the English translation for the word Oglala). They travel to various Indian reservations and other parts of the country to play their music. They are self-taught and play what comes out naturally from their hearts. Juliana is inspired to play for the youth and inspire them to branch out and learn about the arts and music which are topics not generally exposed on the reservation. Sage Honga, 22, of the Hualapai tribe, earned the title of the 1st attendant in the 2012 annual pageant, Miss Native American USA. From that point forward, she has been promoting her platform encouraging Native youth to travel off the reservation to explore opportunities. In Native American culture, knowledge is power and the youth are encouraged to leave the reservations, get an education and then come home to give back to your people. Sage continues to speak to youth focusing on four fundamental principles: traditionalism, spirituality, contemporary issues and education. Sage is photographed at a sacred site of the Hualapai people and one of the Seven Natural Wonders of the World, the Grand Canyon. She wears a hand-made dress and natural make-up on her face, traditionally used by the Hualapai. On a cold and unsuspecting December morning in 1890, the US Cavalry troops marched into a Lakota camp near Wounded Knee Creek on the Lakota Pine Ridge Indian Reservation in the Midwestern state of South Dakota in America. On that day, the regiment surrounded the encampment and carried out a massacre, killing over 150 men, women and children, records show hundreds died in the aftermath. For centuries, the Native American culture and its people have been grossly mistreated and further misappropriated, often ascribing incorrect identities to a community that have a rooted foundation on the American soil and have been around long before the 18th century colonization. Often depicted in the media as historical figures, wearing buckskin, riding horses or living in teepees, these images still permeate the modern day idea of Native Americans, coupled with associations of addiction, poverty and lack of formal education. 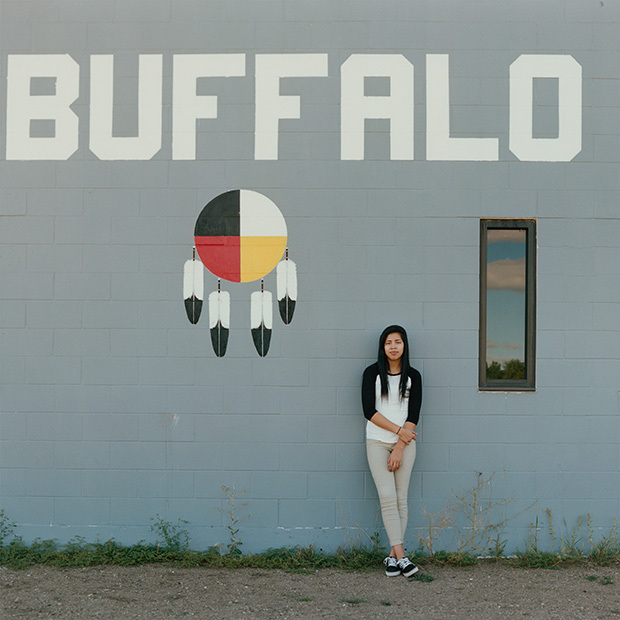 Four years and 15,000 miles later, The Red Road Project is a collection of stories and photographs that explore the relationship between the Native American people and their identity today. 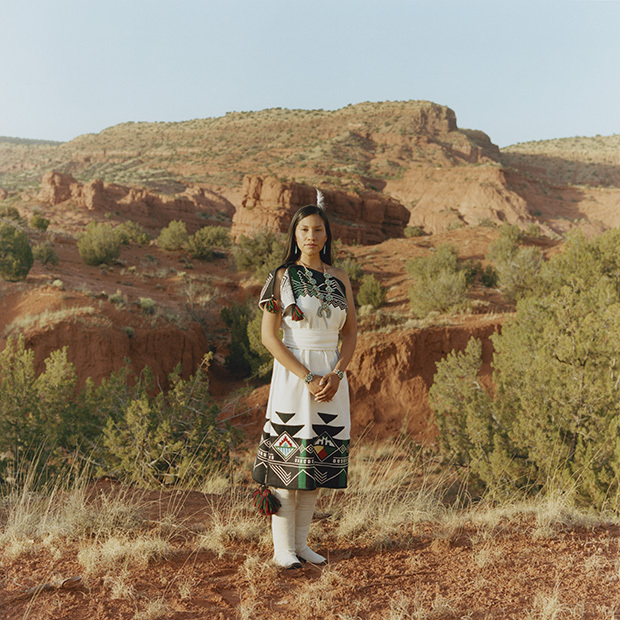 Working in partnership as photographer and writer combines Cardona’s photographs that capture the vivid stories of the people they meet, with SeeWalker’s direct connection to Indian country that offers an insider’s perspective. Gaining access began with photographing Danielle’s family and constructing an approach that the duo could work with and bring to the community as an example of how they planned to tell their stories. The Red Road Project is not unique in its recognition of these misrepresentations, but their work is key to the reconstruction of this identity, stemming directly from the men, women and children that make up what we know as Native America. The stories, the people and the history, however, will remain unique, and for Cardonna and SeeWalker the core of their project is to inspire positive change. Growing up, Juanita had a rolling list of highly regarded accomplishments and was the ideal role model to her community. She was valedictorian of her charter school, President of the Native American Youth Empowerment (NAYE) group, and on the executive committee of UNITY (United National Indian Tribal Youth Organization). During college, things changed dramatically for Juanita. She felt the pressure of life and quickly fell into depression, anxiety and succumbed to drugs and alcohol after dealing with a very traumatizing family event. In 2012, she had a turning point. “I started to believe in my dreams and in myself again.” Today, she works for the Community Wellness program on her reservation and has truly influenced positive changes in the program and in her community. 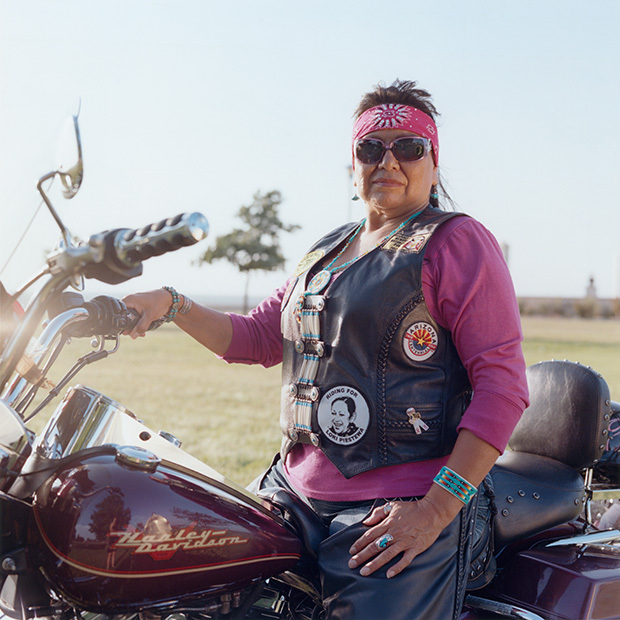 Henrietta Stands Nelson, a Lakota woman from the Pine Ridge Indian Reservation, rides her modern-day horse, a Harley Davidson named “Thunder”. At age 51 years old, she decided to fulfil a life-long dream of riding motorcycle. Today, she participates in long-distance drives to honor various Native American causes, many of which take days to complete. One of her most recent rides was the Dakota Memorial Ride which commemorates the forced removal of the Dakota and Winnebago Nations from their lands during the Dakota Conflict of 1862. Aside from riding, Henrietta has a passion to help her Native American elders stand up for their rights against relocating off their lands, due to the oil companies’ persistence to drill on their lands and ultimately poisoning their water. 23-year-old Danielle Finn (Sheena), from Bismarck, ND, is of the Hunkpapa Lakota tribe. Sheena had recently taken 1st Runner Up in the 2013 Miss Indian Nations pageant. Sheena is studying law and aspires to become a tribal lawyer one day. 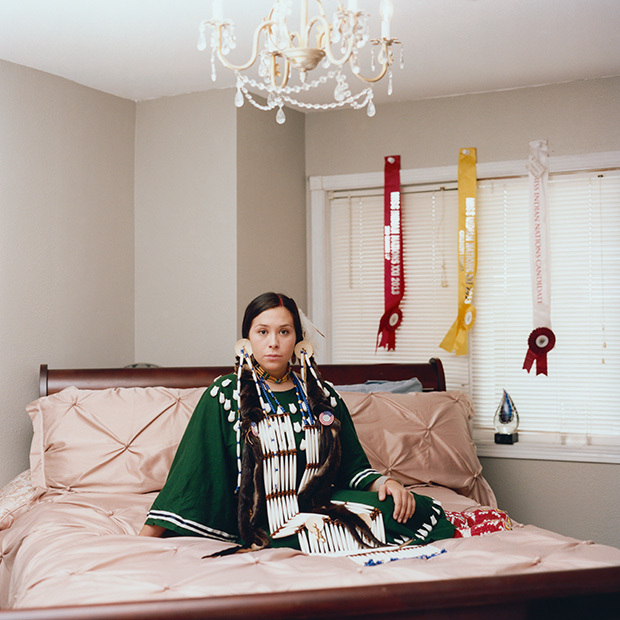 Here she is portrayed in her bedroom on her family’s ranch, wearing traditional dress and accessories made by herself and mother. The color green of her dress represents “celebration” in the Hunkpapa Sioux culture.